As Edinburgh hosts its inaugural Chinese New Year festival this February, with a series of free and paid events and activities, it’s also worth noting Scotland’s strong research links with China. The Royal Society of Edinburgh (RSE) has led efforts to establish science partnerships between Scottish and Chinese science academies for a number of years, and there are many examples of Scottish universities’ research being commercialised in China, including Sunamp Ltd.
More recently, the Global Challenges Research Fund (GCRF) has supported over 20 research partnerships in China involving 10 Scottish universities. The GCRF is a £1.5 billion UK fund, administered in Scotland by SFC, to support cutting-edge research that addresses the challenges faced by developing countries. One of the research projects awarded funding in 2017-18 was the development of a prototype for diagnosing and managing respiratory disease (conditions such as asthma and Chronic Obstructive Pulmonary Disease (COPD)), which are at epidemic proportions in China due to poor air quality in major population centres. Working with partners in China, Professor Des Gibson from the University of the West of Scotland (UWS) used the funding to develop a prototype low-cost capnometer (a monitoring device that measures and numerically displays the concentration of carbon dioxide in exhaled air), demonstrating required performance and testing as a precursor to clinical trialling. A person’s respiration rate (the number of breaths taken per minute) and the amount of carbon dioxide in the air they exhale are known to be key ‘bio-markers’ in the evaluation of patients’ healthcare trends. 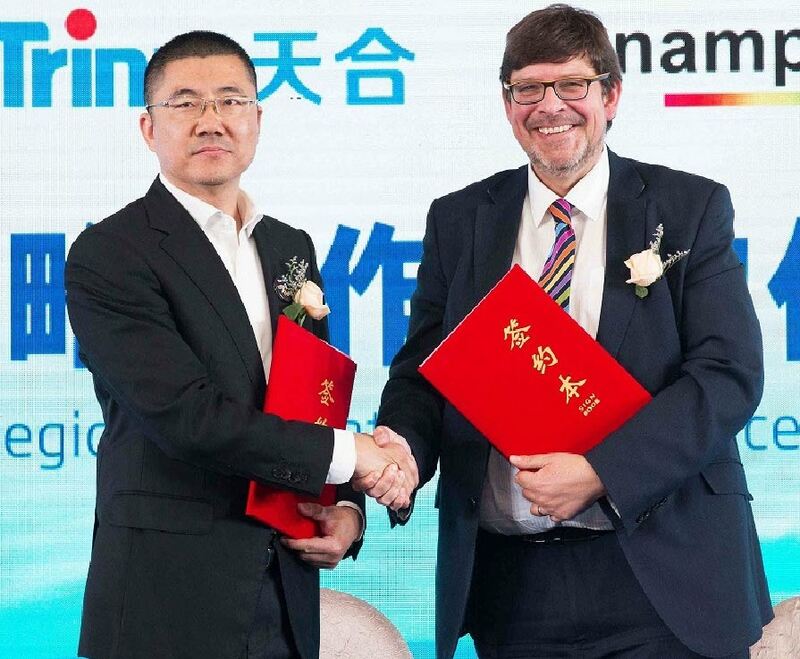 The project has resulted in a signed memorandum of understanding and the teams in Scotland and China are now seeking future funding to develop low cost portable point of care medical devices to help with the diagnosis and management of chronic respiratory conditions. More broadly, China is also a focus area for the Connected Scotland partnership, and the Saltire Scholarships, a programme offered by the Scottish Government in collaboration with Scottish universities in the areas of science, technology, creative industries, healthcare and medical sciences, and renewable and clean energy. China is also considered a ‘priority country’ for the Scottish Government’s International Relations and International Trade strategies.